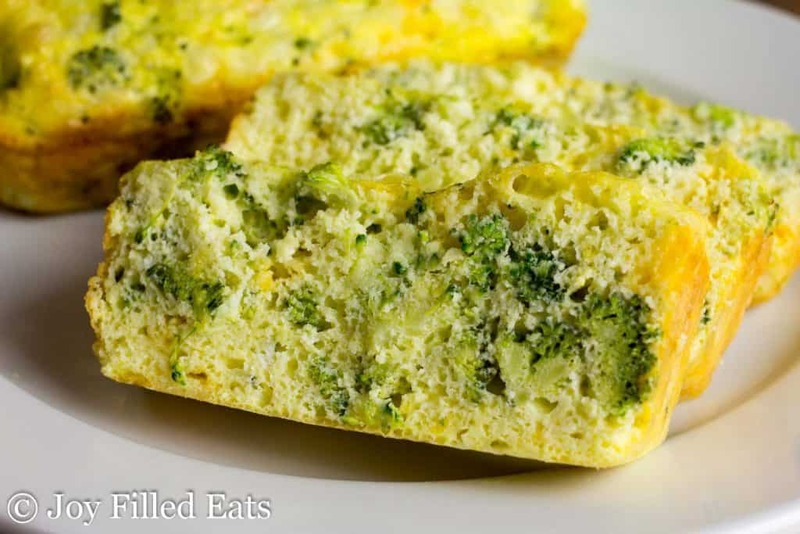 This Broccoli & Cheddar Keto Bread Recipe is a great breakfast, lunch, side dish, or snack. It mixes up in 5 minutes and has only 5 ingredients plus salt. It is nut free, grain free, gluten-free, and a THM S. It also reheats well on busy mornings. When I saw Emma’s recipe going around a keto facebook group for this recipe I knew I had to try it. And once I tried it I knew I wanted to share it with my readers! It is so easy and so good. My favorite part is that you don’t have to cook the broccoli first. As long as you use small pieces they cook in the loaf while it bakes. P.S. This was the first time I twisted my bacon before baking it. I’m in love! I was able to fit an entire pound on one baking sheet and it still got crispy. 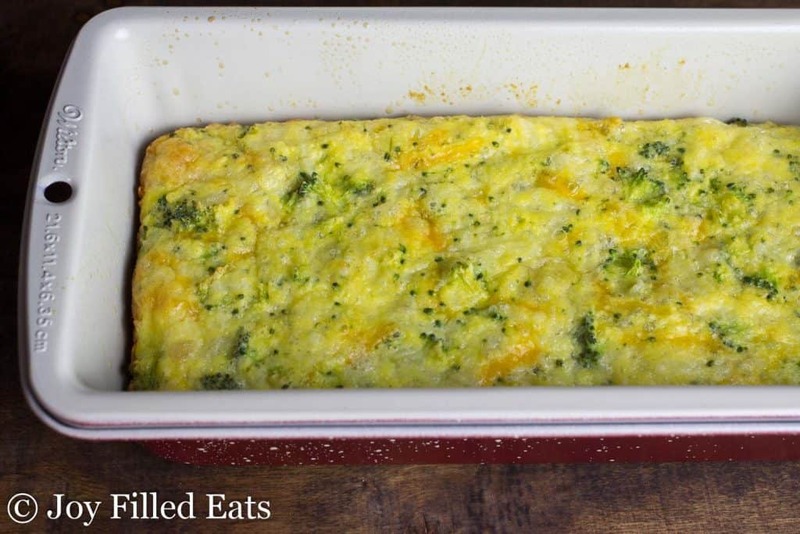 This is great for breakfast, lunch, as a snack or a side dish. It reheats well. I even fried a few pieces in bacon fat for breakfast a few days after baking it. They were delish! My husband and most of the kids liked this too. It will definitely become a staple in our home. I want to try swapping out the broccoli for other veggies or meats. Bacon crumbles would be awesome in this. I couldn’t believe how simple this keto bread recipe was. You just mix the ingredients. Pour into a loaf pan. And bake. I loved the texture of this. It was a nice change to an omelet or other egg dishes for breakfast. I’m sure you could sub in another type of cheese or even another vegetable. I’ve been thinking about making a spicy version with bacon and jalapeno. 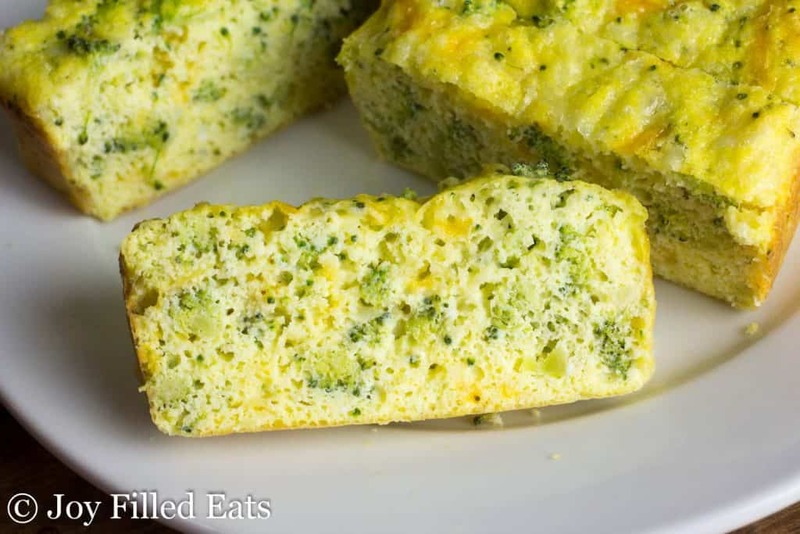 This Broccoli & Cheddar Keto Bread Recipe is a great breakfast, lunch, side dish, or snack. It mixes up in 5 minutes and has only 5 ingredients plus salt. It is nut free, grain-free, gluten-free, and a THM S. It also reheats well on busy mornings. Preheat oven to 350. Spray a loaf pan with cooking spray. Mix all the ingredients in a medium bowl. Pour into the loaf pan. Bake for 30-35 minutes or until puffed and golden. Slice and serve. To Reheat: Microwave or heat in a greased frying pan. Im planning on making this tonight. I only have a glass loaf baking dish. Would the temp and time be the same? This was absolutely delicious but in no way would I label this bread. Not sure what I would call it - but bread is not it. 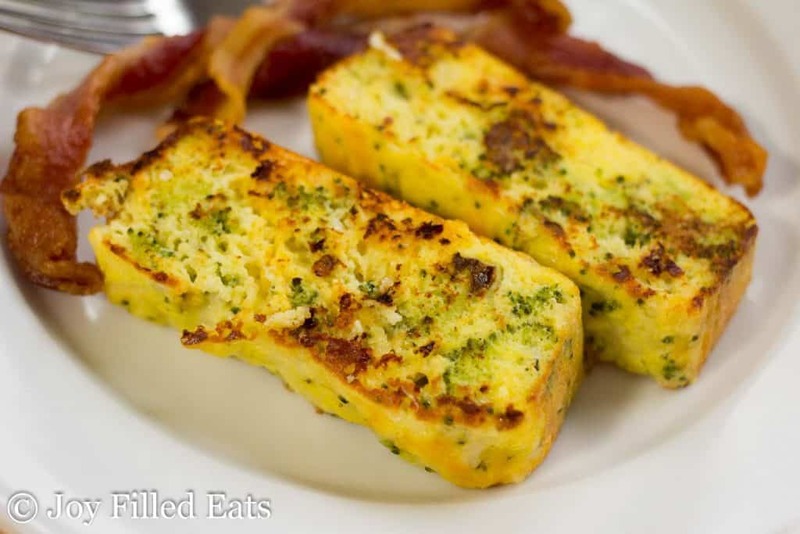 The texture was very eggy and it is like eating a frittata. Definitely delicious and I will make it again - but not as a bread replacement. Just my opinion. Thanks for this website - it is a wonderful go to for all things keto!!! I've made this recipe twice now in just a matter of days because it was so great. 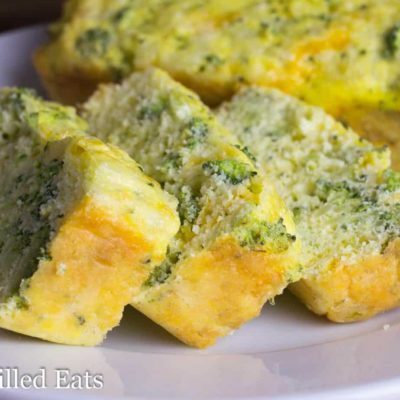 The first time around, I used broccoli & baked in a muffin tin. I ended up making little mini sandwiches for my lunch with them. The second time, I sautéed some onion, mushrooms, & veggie crumbles & added that in. So good! I really enjoy the texture & oddly enough, I don't find them to be super eggy. This is such a versatile recipe that I know I'll be using again. Thanks! I tried this last night and it was great. In the future I would add more cheese because the cheese flavor got lost behind the broccoli and egg flavor. I reheated some this morning for breakfast and was very dry. Do you think adding a little HWC to the recipe would help? I'm not sure what heavy cream would do to the texture. I'd suggest pan frying it with a little butter when heating up leftovers. I made this bread last night. It is delicious!!!! thanks for the recipe. What a great breakfast idea! I love this recipe! My husband LOVED this recipe! He's asked me to make this several times already! 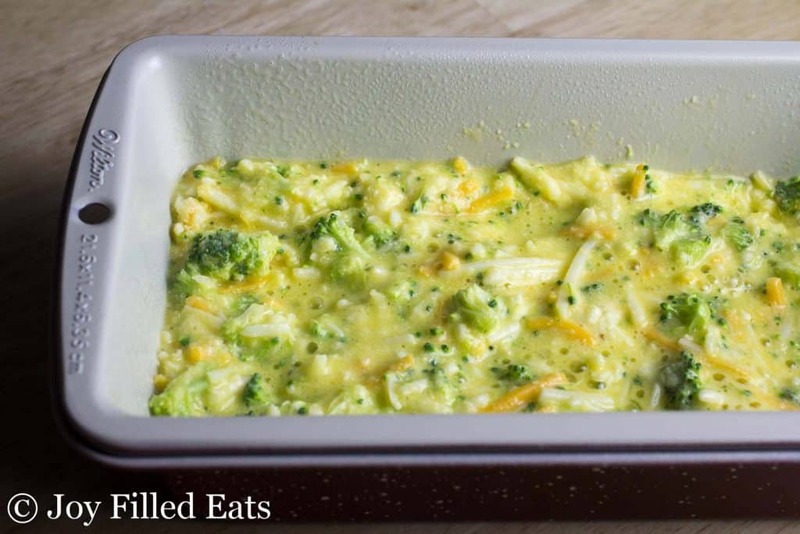 Love love all your meals & casseroles! Thanks for making such great recipes!!!! Can you substitute almond flour for the coconut flour? I don’t have any coconut flour but I’d love to make this tonight. I think so but you will need more. I would double the amount. I made it with 9 tbsp of almond flour, it was great...the bottom had a little "egg base" so next time I'll use 12 tbsp. Much more airy than I expected. I have not frozen it yet. Since this is egg based I think it would. I've frozen quiche successfully before. Could I use THM baking Blend to make this? Thanks everyone that posted about the salt. When I saw the sodium amount, I was quite surprised. I was planning to leave it out all together. 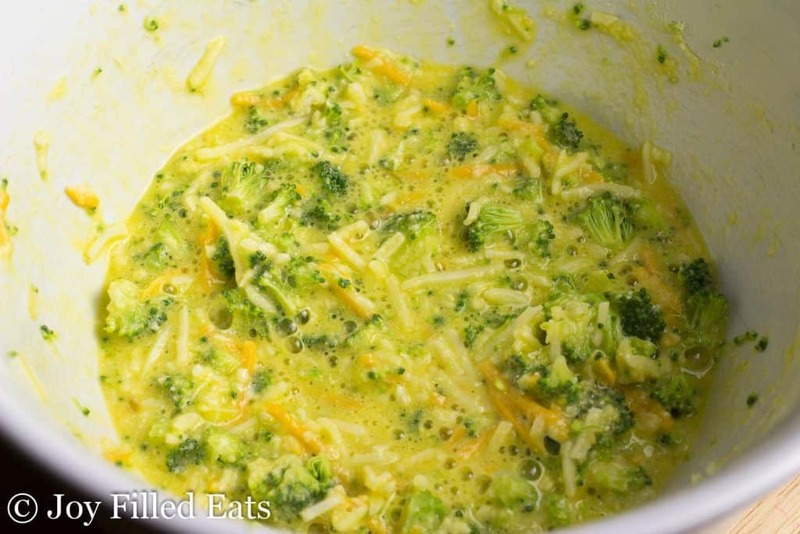 Otherwise, this recipe will be a good way to get my broccoli in, I just can't seem to get it in any other way. There was an error in the nutrition table. I reran it through my program and the sodium amount did decrease quite a bit. What program do you use for the nutrition calcs? I've been looking for a good one to use. I have one that is built into my recipe card program. I guess I was asking what recipe card program do you use? Go easy on the salt; I doubled the recipe & both myself & my husband thought it was too salty. Either halve the amount, or don't use any salt. Other than that, it was really good. Kept it in for about 45-50 minutes too; I used a stone loaf pan. I just made this today. It turned out well, and tasted grest. I beat the eggs well before adding them. I used Cabot vermont sharp cheddar cheese, pink himalyan sea salt (next time, I will use 1/4 tsp salt), Bob's aluminum free baking powder. I would definitely make this again. Quick low carb, tasty, and quite satisfing. Mine looked very much like yours. I made this tonight and it turned out really well! In your picture it looks more "bready" than mine does, but I also think I needed to really beat the eggs more which would make them fluffier. I would like to try and fry some up in the morning.